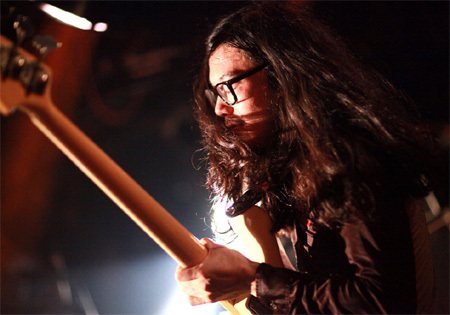 オワリカラ (Owarikara) means "Starting from the end.” They consist of four young members who only recently started sessioning together in April 2008. They have yet to release an ep or album but their demos have sold out quickly and they have become one of the hottest bands in Tokyo's indie/underground scene. Musically, their style is a throwback to 70's era psychedlic soul&blues tinged rock ala the Doors, the Yardbirds and Jimi Hendrix. They have a reputation for putting on intense, energetic shows and are renowned equally for their technical chops as well as their penchant for going absolutely nuts on stage. (Don't worry, they never put the audience at risk, just themselves !!) In fact it appears they challenge themselves to make each show crazier and more memorable than the next. 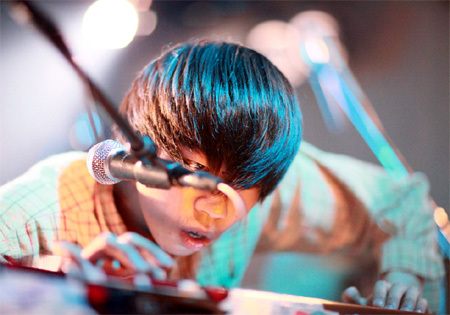 Along with close friends SuiseiNoboAz, Owarikara have come out of nowhere and captivated indie music fans in Tokyo.